New Year is just around the corner. 2011 is about to over. 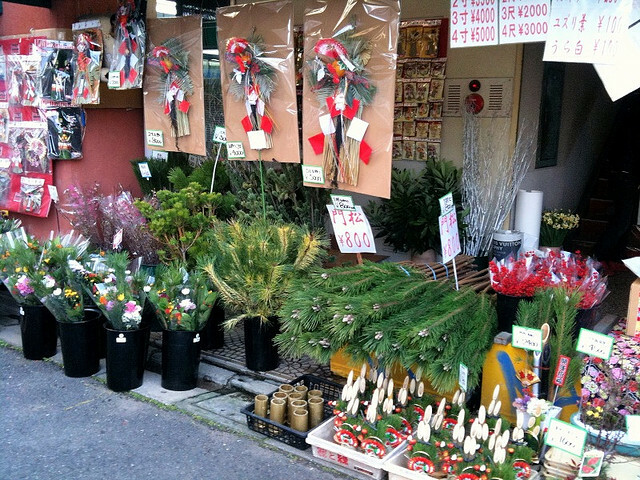 And of course New Year is also the official Japanese New Year which is also on the 1st of January! 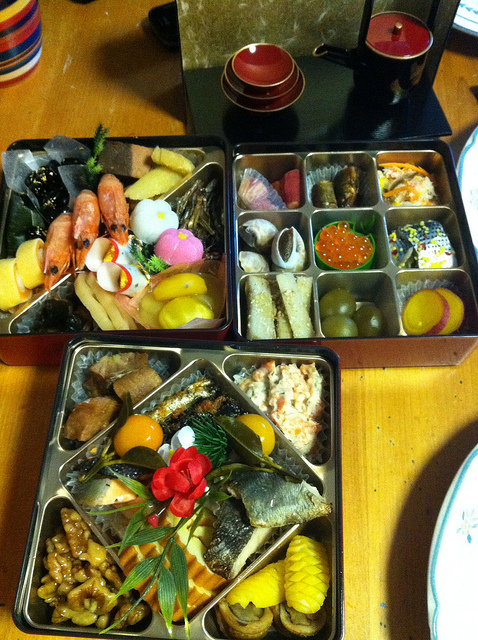 Japanese New Year (正月 shōgatsu) is one of the most important festivals. Due to the importance of the holiday and the preparations required, the preceding days are quite busy, particularly the day before, known as Omisoka. 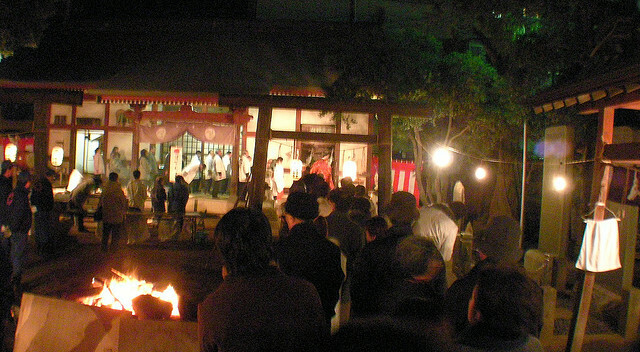 At midnight on December 31, Buddhist temples all over Japan ring their bells a total of 108 times to symbolize the 108 human sins in Buddhist belief, and to get rid of the 108 worldly desires regarding sense and feeling in every Japanese citizen. A major attraction is The Watched Night bell, in Tokyo. 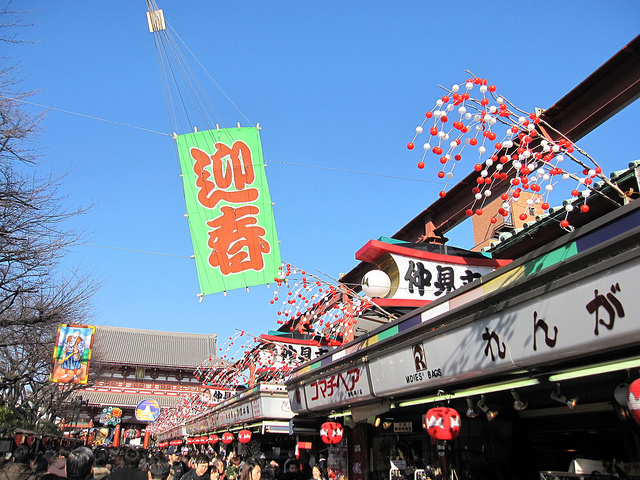 Japanese believe that the ringing of bells can rid off their sins during the previous year. 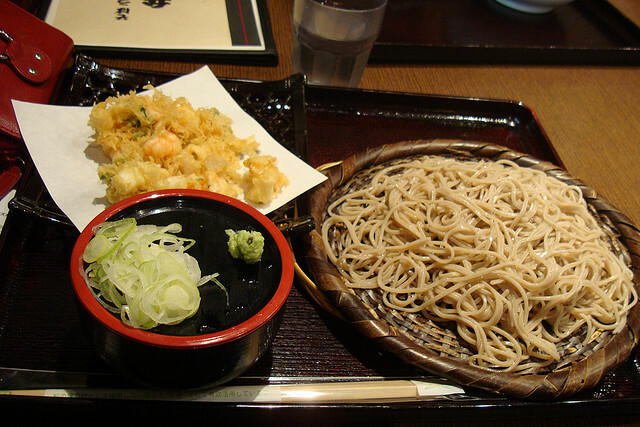 After they are done ringing the bells, they celebrate and feast on soba noodles. Most businesses shut down from January 1 to January 3, and families typically gather to spend the days together. January 1 is a very auspicious day, best started by viewing the new year's first sunrise (hatsu-hinode), and traditionally believed to be representative for the whole year that has just commenced. Therefore, the day is supposed be full of joy and free of stress and anger, while everything should be clean and no work should be done. 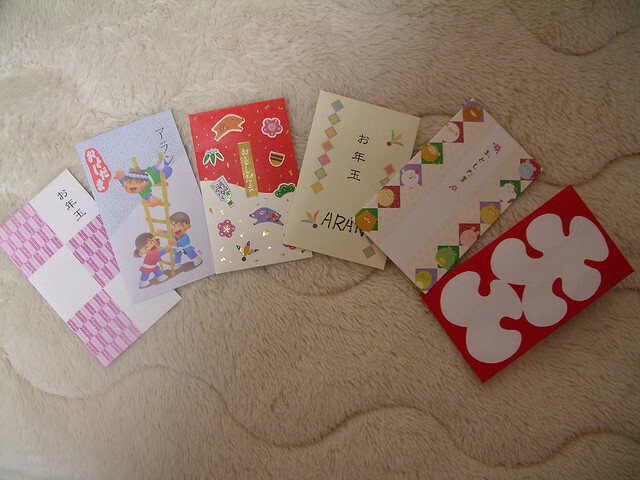 On New Year's Day, Japanese people have a custom of giving money to children. 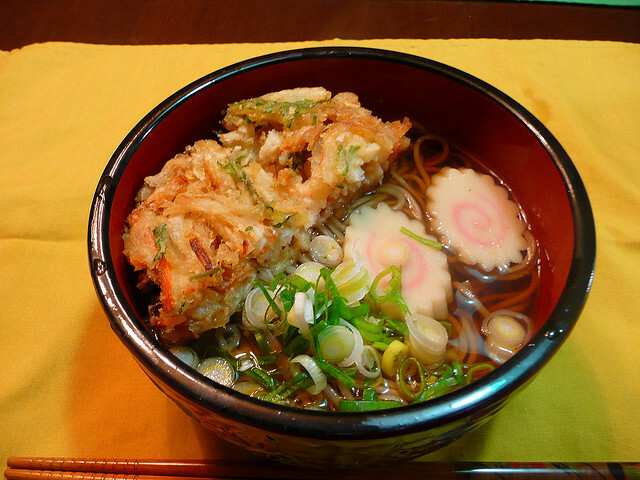 This is known as otoshidama (お年玉?). 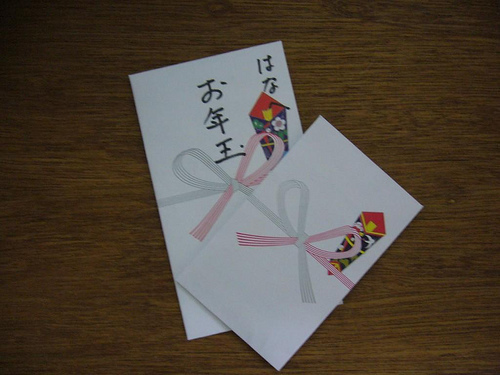 It is handed out in small decorated envelopes called 'pochibukuro,' similar to Chinese red envolopes and to the Scottish handsel. 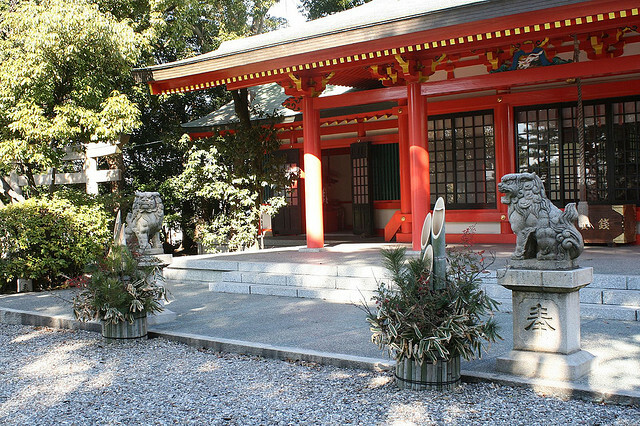 In the Edo period large stores and wealthy families gave out a small bag of mochi and a Mandarin orange to spread happiness all around. The amount of money given depends on the age of the child but is usually the same if there is more than one child so that no one feels slighted. It is not uncommon for amounts greater than 10,000¥($120) to be given. 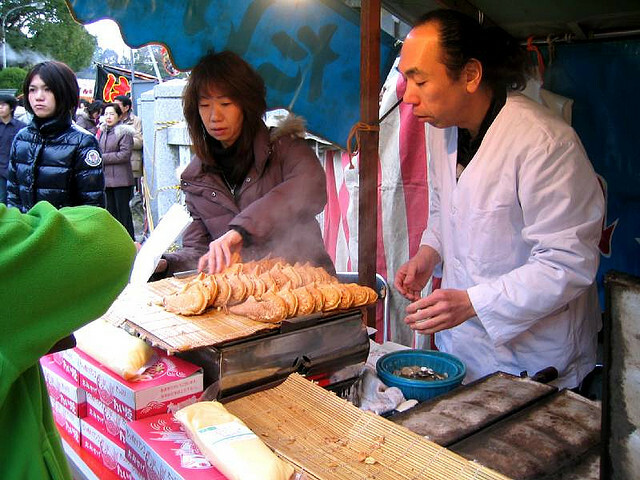 Hatsuyume (初夢) is the Japanese word for the first dream had in the new year. Traditionally, the contents of the dream would foretell the luck of the dreamer in the ensuing year. In Japan, the night of December 31 was often passed without sleeping, thus the hatsuyume was often the dream seen the night of January 1. This explains why January 2 (the day after the night of the "first dream") is known as Hatsuyume in the traditional Japanese calender. 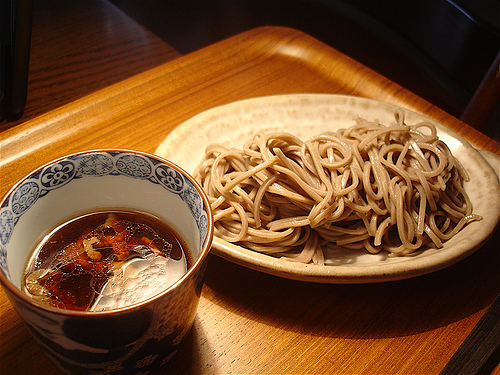 It is considered to be particularly good luck to dream of Mount Fuji, a hawk, and an eggplant. This belief has been in place since the early Edo Period but there are various theories regarding the origins as to why this particular combination was considered to be auspicious. One theory suggests that this combination is lucky because Mount Fuji is Japan's highest mountain, the hawk is a clever and strong bird, and the word for eggplant (nasu or nasubi 茄子) suggests achieving something great (nasu 成す). Another theory suggests that this combination arose because Mount Fuji, falconry, and early eggplants were favorites of the shogun Tokugawa Ieyesu. 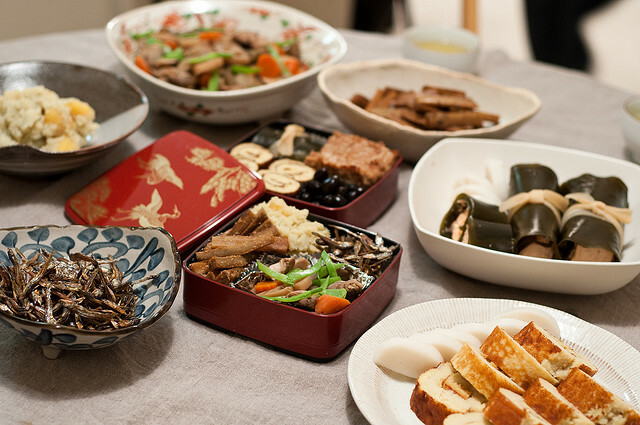 Various kinds of special dishes are served during shogatsu. 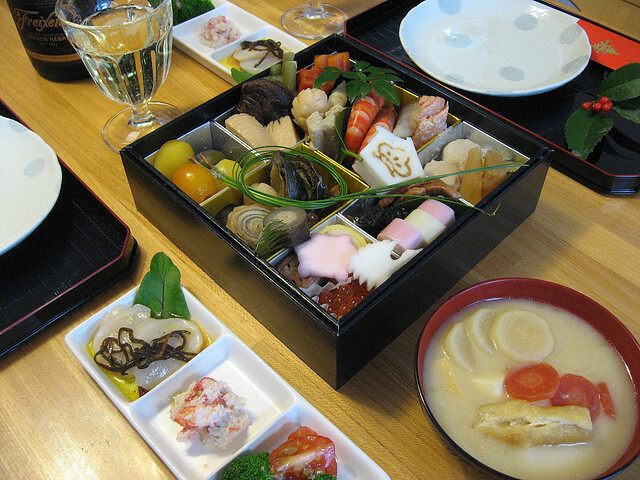 They include osechi ryori, otoso (sweetened rice wine) and ozoni (a soup with mochi).